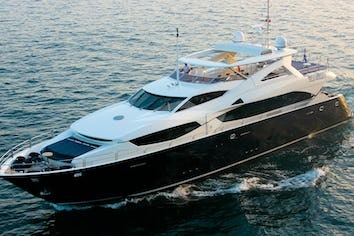 SEVENTH SENSE is new to the charter market. An early interior shoot has taken place over the Easter weekend and a comprehensive lifestyle photo-shoot is due to take place at the end of April when she leaves the yard. 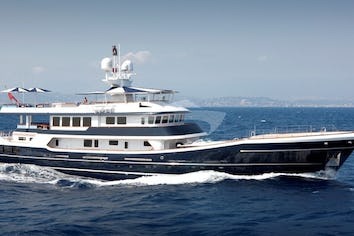 SEVENTH SENSE was kept private by her first owner since her launch. She was used only a few weeks a year but kept immaculate by a permanent crew. When she was purchased by her new owner on the back-end of 2015 she underwent a full exterior and interior refit. Andrija grew up in Šibenik where he finished his compulsory education and later obtained degree in nautical science at University of Maritime Studies in Split. He has been around sea and ships all of his life, spending his high school summers onboard fishing ships and later getting hooked on sailing when got opportunity to learn it at university. At that time, he started to work as a professional skipper on sailing and power yachts at age of 21, and later switched to running few successful charter companies, but never losing connection with actual nautics, regularly spending one month at sea on various private or charter yachts. After that, he dedicated his professional knowledge in running motor yachts as a captain – both private and charter yachts. Andrija is a reliable and trustworthy person, dedicated to his guests onboard, good leader of his team and person to whom you can always approach with any problem of requests. He speaks fluent English and Italian, and uses German and Czech language. Married, father of two sons. Ivan spent his childhood in Split, his hometown. During his career, that lasts over fifteen years, Ivan has worked in various restaurants and hotels where he perfected himself into a master chef of sweet and savory five-star dishes. He has also worked on luxury tourist boats along the Dalmatian coast where he gained strong expertise in preparing Dalmatian and Mediterranean cuisine. Ivan is a true professional, dynamic, responsible and independent and always ready for a challenge. He will satisfy diverse palates and without compromise always supply the freshest top-notch quality ingredients. Goran was born and raised in Split. He grew up with a love towards the sea and the ships. He was always out on the sea or beneath it. 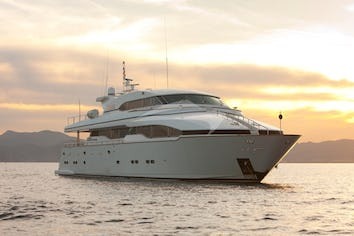 Goran’s desire to work at sea led him to the yachting industry where he worked on motor yachts as a skipper with a busy schedule in the Adriatic Sea. He worked as deckhand on a privately owned luxury yacht as well. Goran enjoys sailing, free diving and fishing. His work ethic exudes enthusiasm, responsibility and positivity. He speaks English. Nikola was born and raised in Split, grew up loving ships and sea. In his rich experience, he was water polo player, deck cadet at merchant navy ship and also a lifeguard on beach. Before joining Cassiopeia, he worked as a deckhand on smaller motor yachts and on small cruise ship on Adriatic sea. At work he is always smiling and very responsible and reliable. Nikola speaks English and he is friendly and communicative person. Antonia was born in Šibenik, finished high school for tourism and hotel business. She’s in hospitality business from her high school days, working in summers at hotel receptions and restaurants. She’s in industry as of 2013, working as a yacht stewardess on smaller yachts, finally joining Cassiopeia this year. She is always smiling and positive, excellent with children and very communicative person. Zrinka was born in Slavonski Brod where she spent her childhood, later obtaining her Master’s degree at University of Economics. After working as regional sales manager and key account manager for two successful delivery companies, she switched to yachting in 2014, starting her career as a yacht stewardess on smaller yachts and finally joining Cassiopeia in September 2015. She is professional and reliable, making sure that clients will spend unforgettable moments onboard.